The Green Economy, Green Jobs, Clean Tech - we've all heard these terms. We are excited about the promise they offer for an economy that generates new jobs and responds to the challenges of climate change. Behind the hype, the most important thing to know about the new Green Economy is that it will not really be new. It will be shaped by the agendas of existing businesses that grow, mine, manufacture, and distribute products and services. The public funds now available to support initiatives to improve energy efficiency and promote renewable energy will be channeled by the political agendas within, and competition among, states and localities. The Green Economy is still a grand vision of what we want to achieve, a far off star to which all sorts of self-interested players are trying to hitch their wagon. Many different businesses, organizations, and political interest groups will be seeking to justify choices that favor them as choices that favor the Green Economy. What kind of Green Economy we get depends upon how well we sort through the strategic and tactical choices we must now make. For example, should we invest in large centralized "smart" electric distribution grids, or should we foster decentralized energy distribution through municipal systems? Should we invest in large transnational firms that manufacture wind turbines, or in small local enterprises that can decrease energy use? To make wise decisions, we need to have an understanding of who supports one direction or another, and why. We also need to know how different geographical regions, population groups, and communities will be affected by these decisions. The purpose of this site is to help citizens and policy makers get information that can help them assess the choices being presented to them to build a Green Economy. Public policymakers, the media, and the public have been promised job growth and local prosperity in return for assuming environmental risks from shale gas and oil development. Beginning in 2010, a Cornell research team delved into the full range of economic impacts, including the costs as well as the benefits, to give public officials and citizens a more realistic picture of the consequences of shale gas extraction. 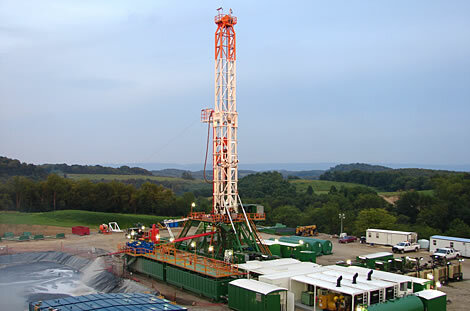 The second phase of the project, conducted throughout 2012 and 2013, focused on local government responses to shale gas development pressures. The latest phase of the project has explored what job creation has actually resulted from shale development, the "footprint" of shale development nationwide, and crude oil transport issues. For more of our work, see Articles and Policy Briefs.